In 1527, Spanish conquistador Juan Martínez de Ampiés sailed across the Atlantic Ocean to help establish one of the most eminent Spanish colonies, known as the Province of Caracas (also known as the Province of Venezuela). For about 300 years, the colony ran rather unrestrained. That was until 1810, with the outbreak of the Venezuelan War of Independence. From this war, Venezuela, as well as its bordering nations, burst free from colonial oppression, leading to the strong roots of what is Latin America today. While Spain and Venezuela have separated, Spanish ties with Venezuela have remained iron strong. Spanish remains the only national language of Venezuela, major Venezuelan festivals such as Corpus Christi stem from Spanish tradition, and even in architecture, such as the city of Coro, Iberian influence is clear. However, despite this cultural cohesion, political ties between the nations have been tense for years, reaching uniquely low points with the rise of Hugo Chavez, and later Nicolás Maduro. For example, Spanish Prime Minister José María Aznar accused Venezuelan officials of harboring Euskadi Ta Askatasuna terrorists, a leftist Basque nationalist group that has plagued Spain’s Northern Basque Country with separatist sentiment. However, more than just political issues, it seems that a line of respect has been lost between the two nations, with officials in each respective nation exchanging barbs and insults over rational legislative policy. This was highlighted in the iconic phrase “¿Por qué no te callas?”, Spanish for “Why don’t you shut up?”, shouted by King Juan Carlos I of Spain at Venezuelan President Hugo Chavez after repeated interruptions by Chavez at the 2007 Ibero-American Summit, a conference ironically aimed at easing relations between Spanish and Portuguese speaking nations in Europe and the Americas. Since then, intense insults have been exchanged from public officials in both nations, a name game that has deteriorated bilateral relations further. Hugo Chavez has called José María Aznar a fascist, Nicolás Maduro called Spanish Prime Minister Mariano Rajoy a racist, and Spain has responded with equal disgust, calling in diplomats to report for their nation’s words and claiming that Maduro was “tyrannical” and “defiant”. However, this tumultuous relationship poses a significant problem. 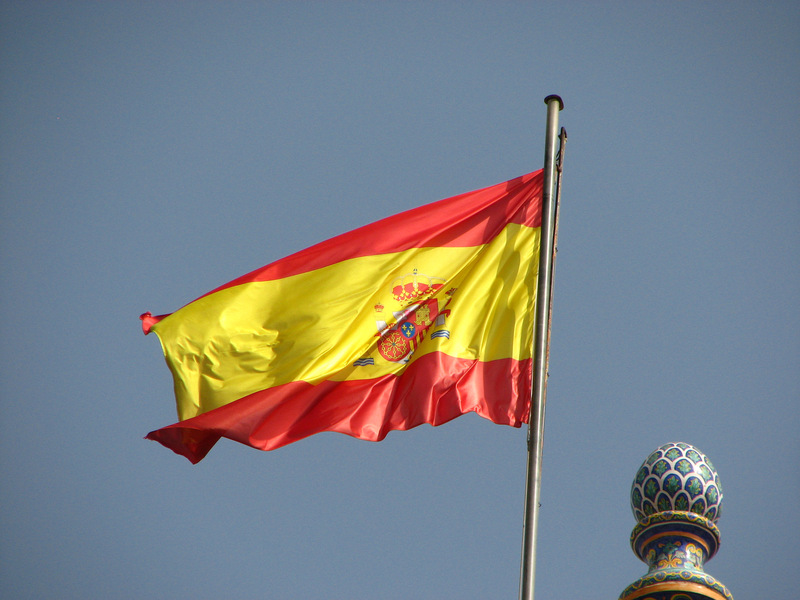 If Spain were a stand alone nation, one may argue that severing ties would not be too severe. However, the problem with Spain is their ties to the European Union (EU). Joining the European Communities in 1986, Spain has had a significant influence over the now 27 other member states of the EU, impacting Venezuelan relations with not just Spain, but Europe as a whole. Spain has shrewdly recognized this power, and has allowed these prevalent Venezuelan-Spanish tensions to spillover onto the entire European community, making Venezuela not just a Spanish problem, but a continent’s problem . In a forum divided upon what to do with Venezuela, with many European states worried that sanctions against the nation would lead to more economic turmoil in a nation already in ruin, Spanish Foreign Minister Alfonso Dastis has been one of the most outspoken Union members pushing for reprisal of Venezuela. This outspokenness, many point out, is the reason that popular sentiment has increasingly been so critical on those resistant to Venezuelan sanctions. That is, as Spain has furthered vilified Venezuela, those who have become a barrier against Venezuelan reprisal have become heckled and critiqued by media and the general public alike, viewing Venezuela in a monstrous light. For instance, Jeremy Corbyn, head of the British Labour Party, was recently lambasted for his lackadaisical attitude in taking action against Venezuela, blurring his leftist stance with sympathy for dictators. This Spanish-led condemnation has grown so significant that the European Union has finally, after months of negotiation, taken definitive action. A series of sanctions have been placed upon Venezuela, most significantly an arms embargo banning any weapons or “tools used for repression” to be flown to Venezuela from European contractors. With a history of utilizing British riot gear in their suppression of popular revolts, it is evident that this will play an important impact in limiting the Maduro regime’s reach. Other key features of these sanctions included a travel ban for key Venezuelan officials into Europe, as well as a freezing of these officials’ assets. Venezuela’s response was to blame the United States, where similar sanctions have been long withstanding, but have intensified under the Presidency of Donald Trump. President Maduro stated that the EU “and its elite leaders should not become an instrument of oppression, submissively and automatically supporting the policies of Donald Trump”, furthering a deep chasm of disrespect that Spain and Venezuela have led thus far. The solution for Maduro seems unclear. To give into what the EU desires would mean a general dismantling of his regime, which seems unlikely given Maduro’s fight thus far. However, what is evident is that Spain is a key player in this field, and overturning deep-seated mistrust with the once-close nation will be a key step in repairing relations with the rest of the EU. Venezuela, with a burgeoning amount of enemies, both in Europe and the Americas, needs all the allies it can get; and for them, Spain can be their greatest adversary, or their channel to Europe. However, the choice lies with Maduro.